Traveling alone, on a night train, in 2005, from Frankfurt to Copenhagen, tired after a long flight, with the cabin to myself, I sprawled across three seats and slept. In the early morning, somewhere in northern Germany, a man joined me in my cabin. After some small chit chat, I fell back asleep. When I awoke, he was leaning against the window, staring at me. “You look so peaceful when you sleep.” Um, thanks? What do you say? I engaged him in conversation, which wasn’t too difficult. He was very eager to talk religion and politics. As we conversed, he pulled out his sack of travel food and handed me a tomato sandwich, aware that I had had nothing to eat that morning. I couldn’t refuse, as he had plenty for himself and plenty to share. He was prepared. Now I have a dear husband and dear children and don’t often find myself traveling alone. While I like to think I travel light, I must be prepared for various contingencies that may arise when one travels with toddlers. The bare essentials must be covered – food, water and shelter. (I put clothing and diapers in the shelter category). I always bring the amount I estimate we’ll need – plus extra. You never know. . . I remember a layover in Atlanta when an Asian couple, seeing me with my infant, approached me meekly and asked if I had an extra diaper. Of course! We had what we needed and some to share. More recently, I walked out of the YMCA with my toddlers, following closely behind another couple arguing over who forgot the diaper bag and what they were going to do with their toddler son who had a MAJOR blowout. Turned out they were parked next to me. “Um, excuse me, do you have some wet wipes we can borrow?” Of course! We had what we needed and some to share. I was just sorry I didn’t have the correct size diaper for the boy so he could could be properly sheltered on the way home. I have been blessed by people who shared with me when they didn’t actually have extra to spare. I got all they had and they didn’t bat an eye. I hope I am equally gracious when the opportunity arises. 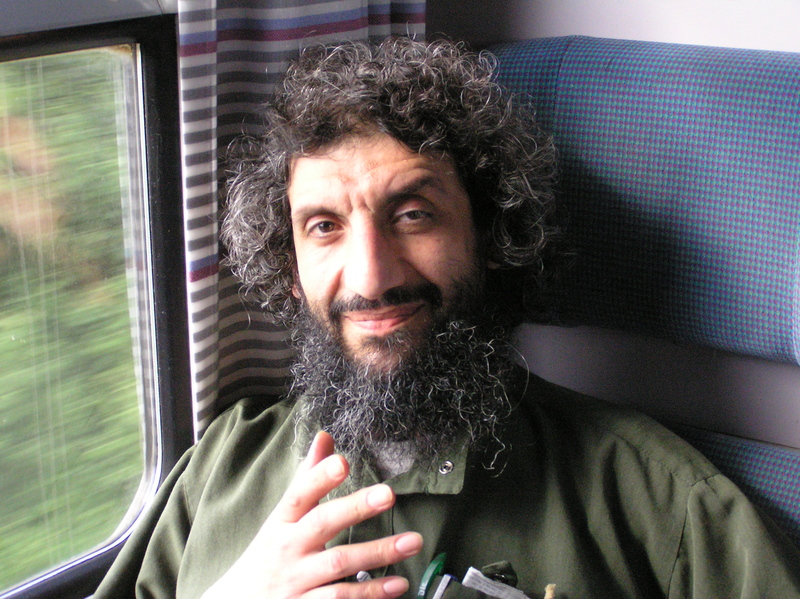 Remembering the man on the train, there are other things I could write about the encounter – stereotypes of immigrants to Denmark, radical Islam, the heated discussion with Danish folks while we waited to disembark in Copenhagen. Those issues aside, I will always remember with gratefulness the fresh tomato sandwiches. You are naturally a very giving and sharing person, Heidi. I’m still grateful for your ‘extra’ car on our California trip, when you actually did without for three days. Thank you again! Myself, and others, are blessed that you share your children as well as your diapers 🙂 — allowing strangers (under your watchful eye) to interact with them and entrusting them to our care, letting little second cousins hold and play with them … You are teaching them how to be a blessing.